This post explains Net neutrality and the challenge facing it in India for all of you who can’t exactly figure out what is going on. This is not intended to be comprehensive, but it gives you the bare bones of the issue and ideas on how to find out more to form your own opinion. Net Neutrality is the idea that internet access not be manipulated to favor some websites over others. Unfortunately the user will still be limited by the internet package they purchase. Let us be upfront. So why, if you don’t have a website is this debate important to you? When you surf the internet for entertainment or information or engagement, your freedom is at stake when you are manipulated toward using some sites over others. While some deals are transparent – in the form of packs – “100 MBof Facebook data free with 100MB 2g” or whatever, other deals may simply manifest as one website opening rapidly while another is agonizingly slow. So, your tendency to go with whichever is ready fast plays out over hundreds of thousands of users. Some sites make a windfall from your unintentional bias (that has been induced by technology) while others may become extinct. Do you intend to be biased? So what if I am biased? I like fast websites, and they made the effort to be fast for me. Not exactly. Throttling is more like other websites being made slower. But there are tangible disadvantages to you too. Let us begin with saying that there is no such thing as a free lunch. When Flipkart invests its money to get you on their site, it only does it because it earns more from your visit. When your network ties up with one operator, it is essentially like the taxi driver who takes you to the “cheapest hotel” and earns a commission for bringing you. You have nothing more than the driver’s word that it is the cheapest. If you are looking for a laptop and get an array of prices from Flipkart fast, while its competing sites will load agonizingly slow, chances are high that you miss finding the cheapest option, because you will be bored surfing slow sites while one blazing fast one is tantalizingly close. The difference in the laptop costs would probably buy you several data upgrades that could let you surf and find the best choice. But I don’t buy online. Would the cheap packs still be free if you purchased them a-la-carte and added sites you use often one by one – for a price? You’d have to, because using them normally would give you the slow versions or be costly if you use them a lot. How many sites do you use in a month? What if you are an activist or blogger? If you get a whim to start a blog, you can just start one today. 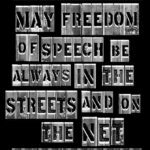 Without Net Neutrality, your blog would be like the tree that fell unseen, unheard – did you even make a blog if no one reads it? If people get bored waiting for it to load and find something better to do? This page loaded in 2 seconds. If it loaded in 8, would you have waited to read something that says “pay attention here”? There are hundreds of blogs starting daily. Causes. Initiatives. Businesses. Someone finds a problem with degradation of environment in their area, starts a website to converge resources and information to fight it. Today, if you want to start a website, you buy a domain name that costs about Rs.300 for the first year and some webhosting space and you’re in business. If you are like me, you already have a server and one domain name later, you add a new website to it. New initiative launched for a net cost of Rs.300 and some effort. What if all these people would be seen normally worldwide, but achingly slow in India, where their target audience is? Or, the cost of starting a website just went up to Rs.300 + hosting + Airtel hafta + Idea hafta + Vodafone hafta…… 20 operators later, and most of your website running cost would be about PREVENTING artificial interference from driving away your visitors instead of whatever you are trying to do. Or, of course you can pray that all your visitors have the patience of a saint. [tweetthis remove_twitter_handles=”true”]Without #NetNeutrality most of the cost of website would be in preventing it being silenced by paying off providers[/tweetthis] When the Net Neutrality debate was raging in the US, activists had organized a day when websites participating in the protest deliberately slowed down their websites to show people what the internet would be like without Net Neutrality. It was the 10th September – day after my son’s birthday. I will remember it for a long time, because almost none of my visitors read a second page on any of the six blogs I had activated it on, on that day. From thousands of pageviews, that day was a few hundred. Who’d want to read another page on a site that just.wont.load? I did it deliberately. This would become my reality unless I was willing to shell out money for faster access. There is a protocol coming up. Http/2. It is already released of sorts. Google and big sites implement it. By the end of the year, a very popular server called Nginx will be implementing it. Sites worldwide will become much, much faster. Except for sites that won’t pay these middlemen – in India. The Telecom industry has been showing huge profits. This isn’t about not being able to afford. It is about exploiting a ready resource for the profit of some cronies. I have said this before, during the debate on FDI and I say it now. We are not used to thinking of the Indian population as a national resource. Yet, if you can harness something that earns you a rupee from each Indian a month, you’ll earn a cool 1.2 billion every month. Whether it is by opening the market so foreign companies can profit, or luring citizens to services you make deals with, so those services earn from it. And make no mistake, even if you buy nothing on Facebook, write nothing, even checking your notifications loads pages and earns Facebook ad revenues. Notice how the notifications are designed so that you can NEVER make out which post got the like from your friend till you actually click the link to find out. That’s a page load. I am not trying to be paranoid or even grudge anyone advertizing revenues. Only pointing out that your convenience is not the goal, the goal is revenue. But it wastes YOUR time. But other services that may be way more user friendly will not be able to compete with a network promoted by every telecom operator in the country. Even if you are willing to risk a slower network, people you network with will likely not. In other words, this is a manipulation, and for all the claims of “giving Facebook free”, as Rajesh Mathews put it, I have yet to come across a single free data pack on any mobile provider’s website. You have to purchase data, and you get their crony for “free”, which will be recovered from your hide in other ways. Data is data. What you use it for is your business. When you purchase data, it is being sold because it is profitable selling it. The idea that existing data is not profitable and hence principles of equality must be ignored is discrimination and illegal. 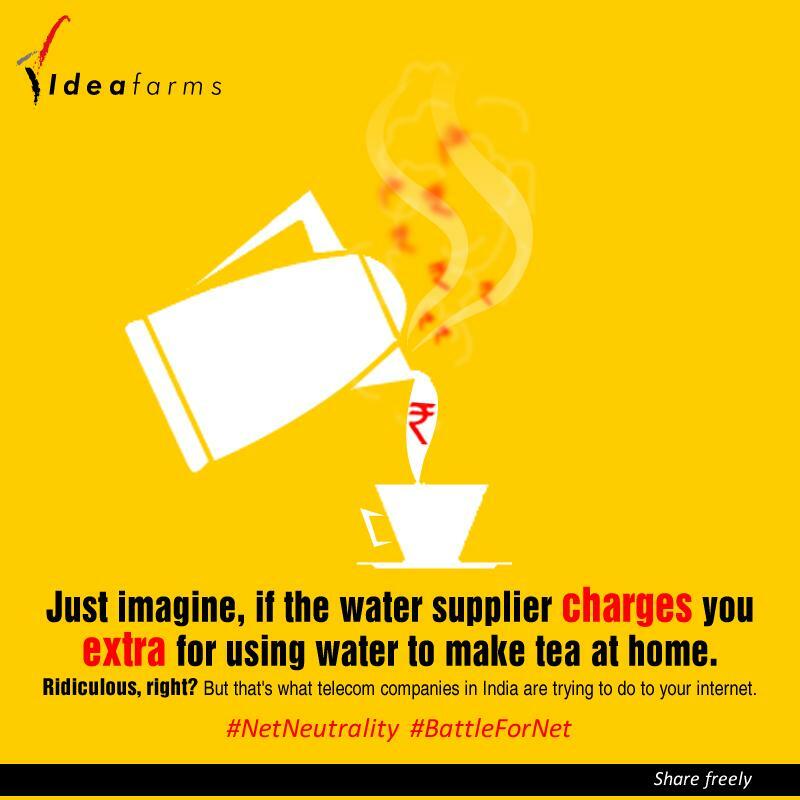 The idea that there isn’t enough spectrum and therefore existing services that are ALREADY MAKING MASSIVE PROFITS can hold India’s internet hostage for their own windfalls is plain and ugly cronyism, if the government allows it. Sometime u surfing and find some valuable information and want to view but u feel really disappointed when u r asked to pay for it.and also u eager to view some site but their speed is slow then u bored and switch to another site which is fast.I did not understand why it happened. now I understand it was deliberately done by ISP.it is not good for anyone. net neutrality bans this type of discrimination. so it is good. so I support net neutrality. thank u. Net Neutrality must be maintained because, when the companies are offering data packs, they can not categorise how the data must be used by the customers. The Airtel is the biggest hurdle of this country who is looting the public money. The call drop are more on the Airtel. Still the people prefers. God knows why they are preferring. 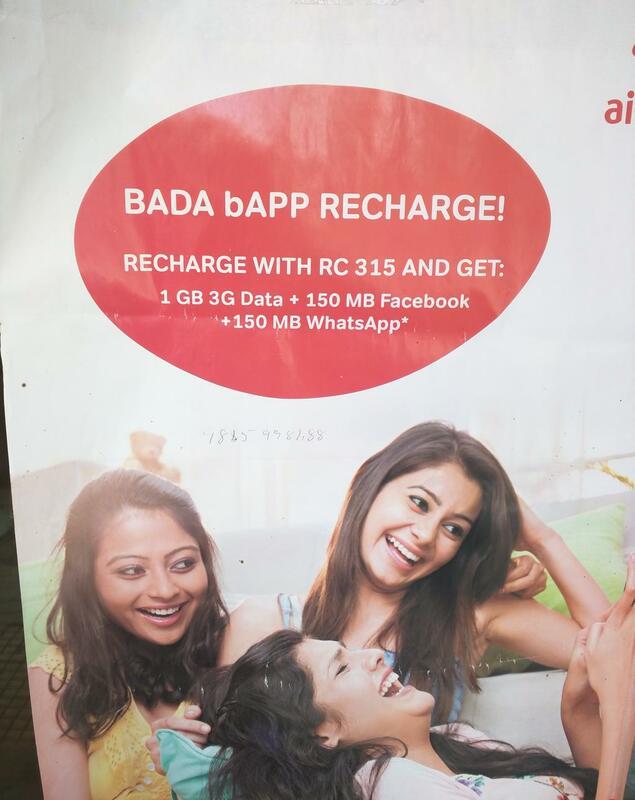 The Airtel and Facebook connection with RIL by way of internet.org absolutely malpractices which should be banned. company’s aakhir chahti kya hai.. politician or compniya milker aam janta ka khoon choose rahi hai..
Net neutrality is really important for India like developing country. 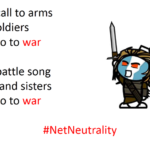 Please support net neutrality. I want net neutrality,to use net equally its our Constitutionally fundamental right therefore it must be protected. If all net users only 1 month not use net on our phone. The all company’s canceled theirs praposale. There is also the question on them snooping habits of their users. Wont this quantify the number of hours a user is using a particular service in the form of data with the airtel – whose employees are infamous of selling the data to highest bidder illegally? Would this allow me to sue Bharati if my recorded data is stolen from them? There is a much bigger question underlying all this.